Smoke and flames could be seen several blocks away from the house, which is at 104th Avenue and 146 Street. 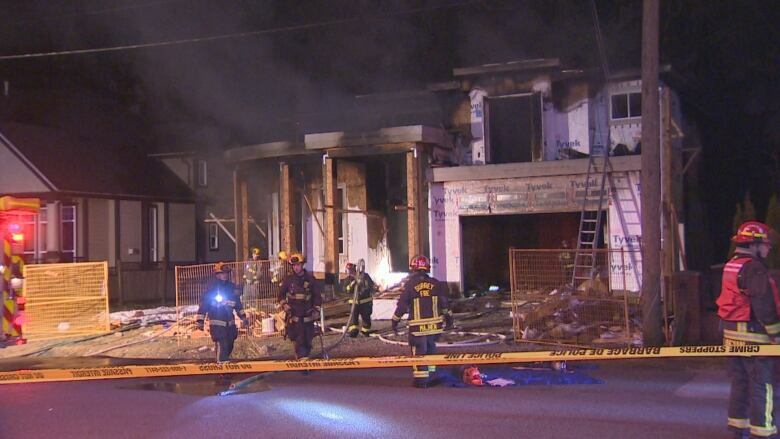 A large fire tore through a house under construction in Surrey Wednesday night. Smoke and flames were visible from several blocks away from the house, which is located near 104th Avenue and 146 Street. Several firefighters were called and were able to get the blaze under control, but the building was left with extensive damage. Fire investigators are looking into the cause.